Iwama is a small town about 100 kilometres north-east of Tokyo. 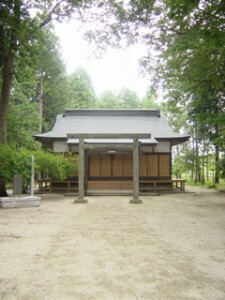 It is here that O’Sensei constructed a dojo (training hall) and the Aiki Jinja, an Oomoto-kyo shrine next to the dojo. It is said that during this period, from 1942 to his death in 1969 that O’Sensei, completed his development of Aikido. Iwama training was focused on mastering the basic forms (kihon) and being able to execute techniques powerfully from solid attacks before moving on to the more advanced flowing (ki-no-nagare) movements. Also important was practice of the weapon curriculum of bokken (wooden sword) and jo (wooden staff) which O’Sensei introduced. 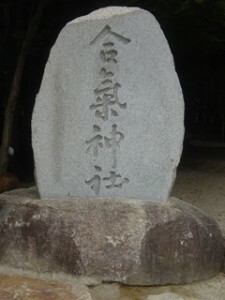 O’Sensei called the techniques that he taught at the Iwama dojo, “takemusu aiki”. During this period, O’Sensei’s longest serving student of 23 years was Morihiro Saito, who on Master Ueshiba’s death assumed the position of headmaster of the Iwama Dojo and caretaker of the Aiki Jinja. On the passing of Saito Sensei the control and management of the dojo has returned to the Ueshiba family and regular classes are still conducted there each week. Information on the Aikikai Foundation teaching at the Ibaraki dojo. 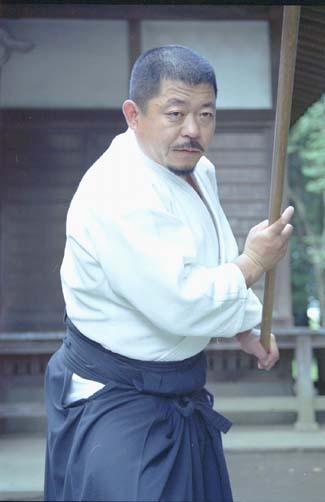 Hitohiro Saito Sensei, the son of Saito Sensei has left the Aikikai and established his own association, the Iwama Shin-Shin Aiki Shurenkai to teach the combined weapon (ken and jo) and Tai-jutsu practice transmitted by O’Sensei directly to his father. He now lives in the Saito house, located on the corner of the Iwama dojo site and has a private dojo that is located in Iwama. He regularly travels internationally to teach seminars for aikido students of affiliated dojos. 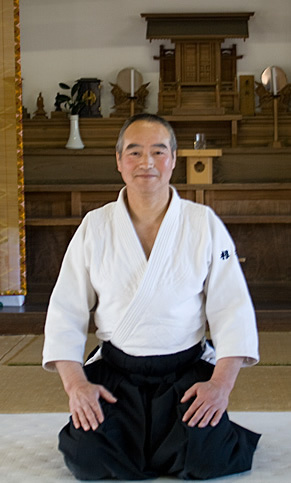 One of the more prominent and long serving senior students of Saito Sensei who is now teaching Aikido full time, Hiroki Nemoto Sensei 6th dan, provides both casual and uchi-deshi instruction at his Nisshinkan Dojo, in Iwama. He can be contacted at the Aikihouse.